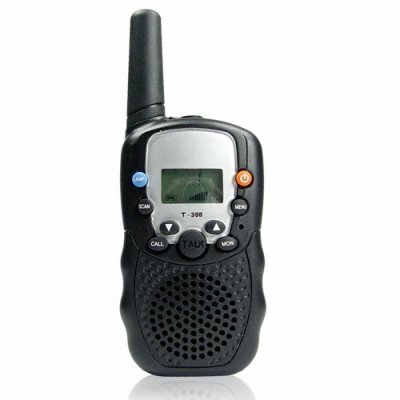 Successfully Added Police Style Professional Walkie Talkie to your Shopping Cart. Walkie talkie pair in a professional police style with multiple functions and features. Not only can this wholesale walkie talkie set communicate with each other, but with 8 different channels to choose from, a 2 kilometer range, and a selectable squelch mode for extended range make this a multi-purpose communication device useful all over the world. Other great features include a built in LCD flashlight, 5 selectable ring tones, low battery warning, and a tone that sounds every time a person transmits to you depresses the talk button for letting you know when to talk. Perfect for many varied uses, super low pricing, and Chinavasion's fast and reliable delivery and customer support make this an item well worth considering adding to your own online catalog.